Home / News / RAILA ODINGA now defends UHURU after disappointing Kenyans during his State of the Nation address-See what he said? RAILA ODINGA now defends UHURU after disappointing Kenyans during his State of the Nation address-See what he said? 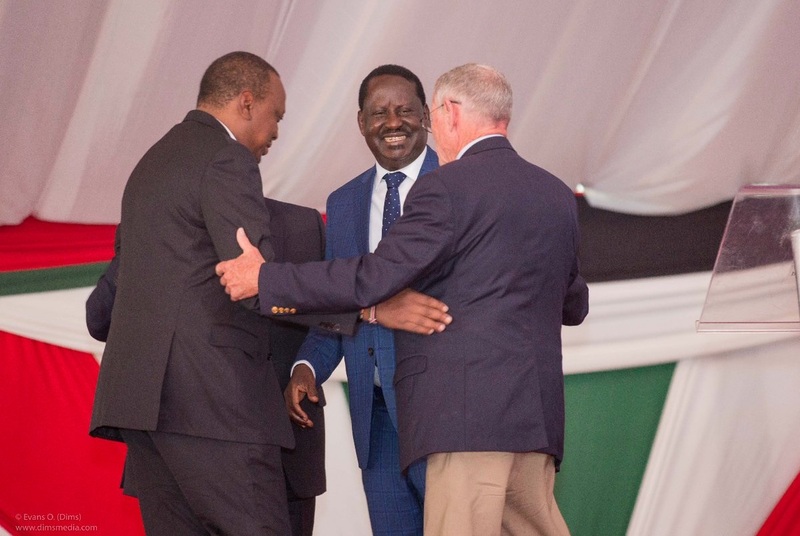 Friday April 5, 2019-Former Prime Minister Raila Odinga has come to the defence of President Uhuru Kenyatta after he failed to sack corrupt people in his Government during the State of the Nation address in Parliament yesterday. Speaking in the precincts of Parliament yesterday just after Uhuru’s address, Raila defended the President, saying it is not his business to sack people. “I don't think it is the duty of the president to fire anybody,” Raila said when he was asked about his opinion on Uhuru’s State of the Nation speech. The NASA leader also agreed with the President on mob justice as far as fighting corruption is concerned, saying the war must be fought within the law. “We need to move with speed to prosecute corrupt individuals. The investigations and prosecution have to have an end and must be within the rule of law…” he stated. Many Kenyans expected Uhuru to fire the likes of CSs Henry Rotich and Simon Chelugui over their involvement of the dams’ scandal.